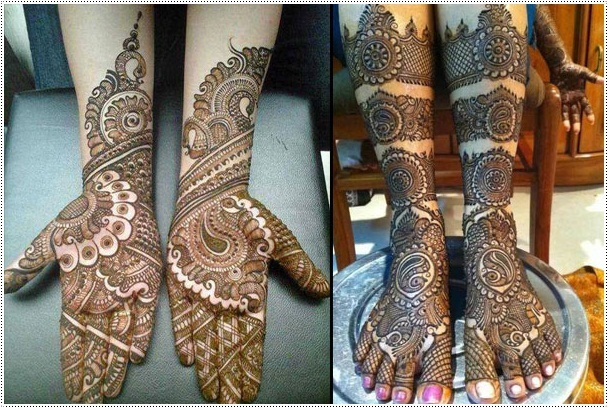 Indian mehendi designs are all about complex patterns in the forms of peacocks, flowers, paisleys, swirly designs, etc., intricately made on your hands and feet. 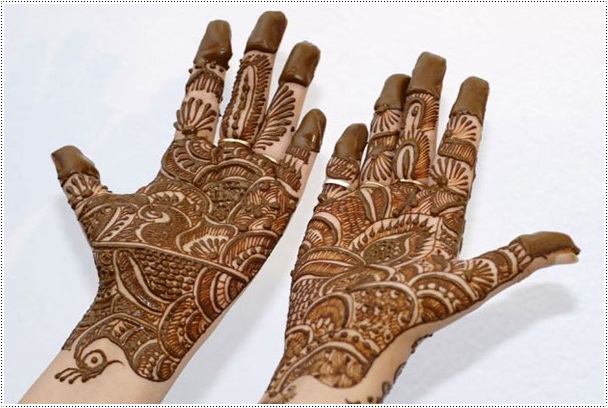 These designs are dense and thick comprising of outlines of leaves, vines, flowers, etc. 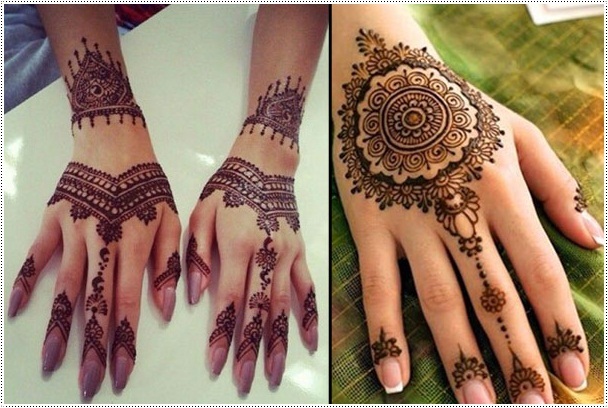 It is not filled like the Indian mehendi art. 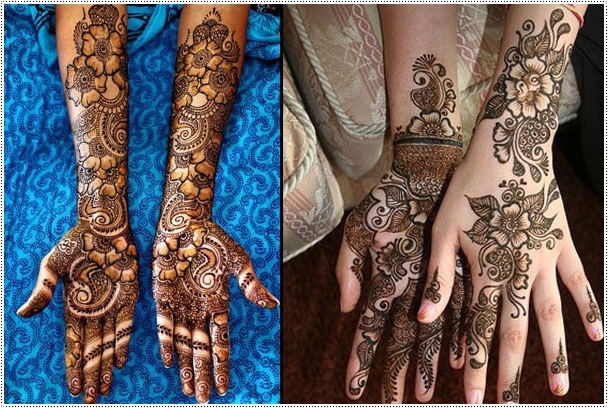 Rather, the focus is more on the thickness of the decorative outlines that partially cover your hands as well as feet. The plus point is that it takes less time to make them and hence, it dries soon! 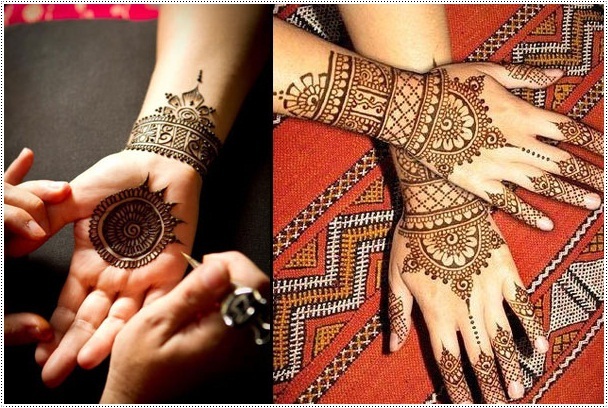 The mehendi designs from across the border, that is, Pakistan are more on the lines of Indo-Arabic mixed patterns. 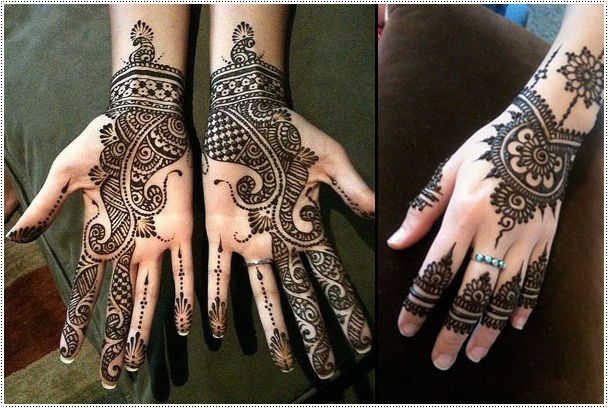 You will find bold Arabic outlines filled with intricate traditional Indian patterns. Have you ever seen a thing which does not look nice with flowers? 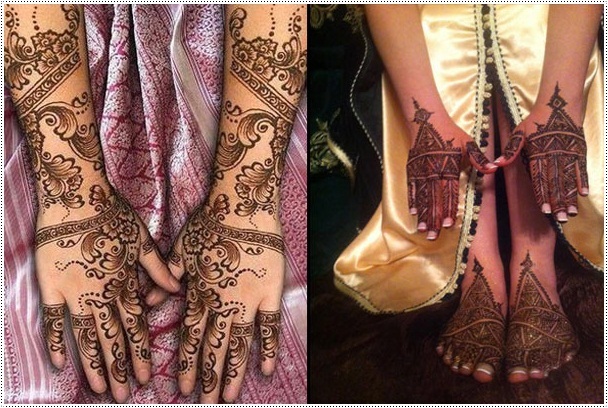 Your henna adorned hands and feet are no exception either. 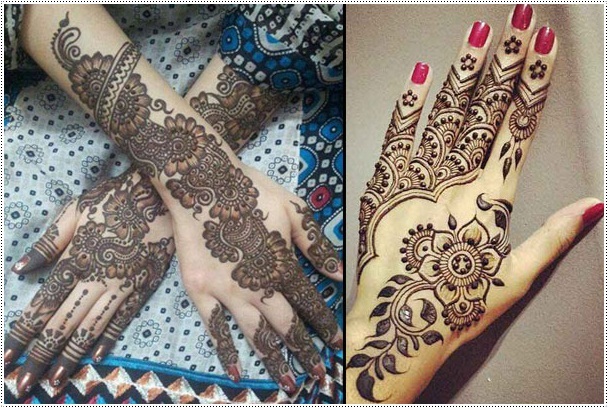 And the best thing is, these floral patterns fit in quite nicely with all types of designs, be it glitter, multi-coloured, bridal anything! 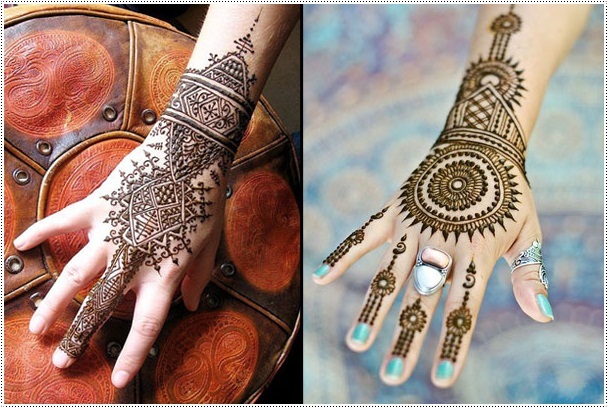 Who needs to wear bangles when they can get them tattooed with henna on their arms? 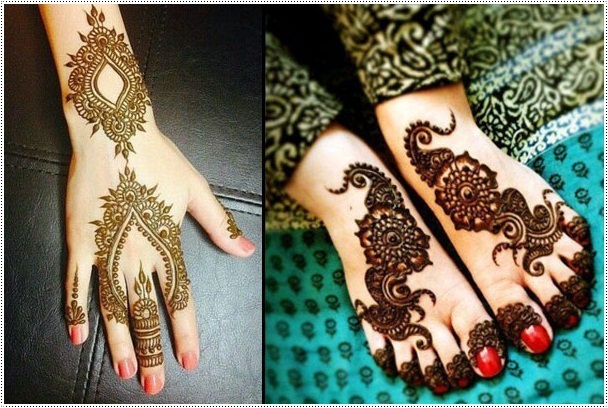 This is yet another beautiful mehendi design, which makes your hands and feet look gorgeous. 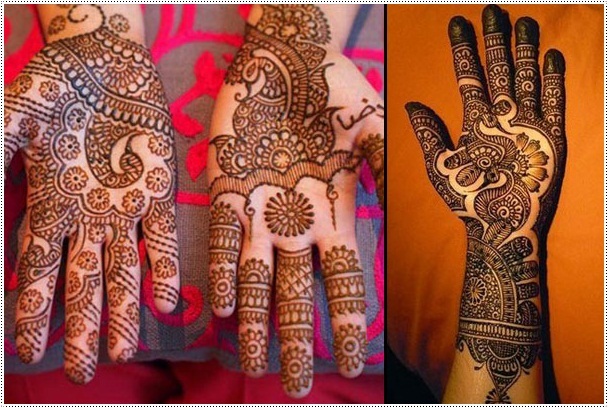 Mehendi art from the Middle East is all about geometric patterns like lines, squares as well as dots. 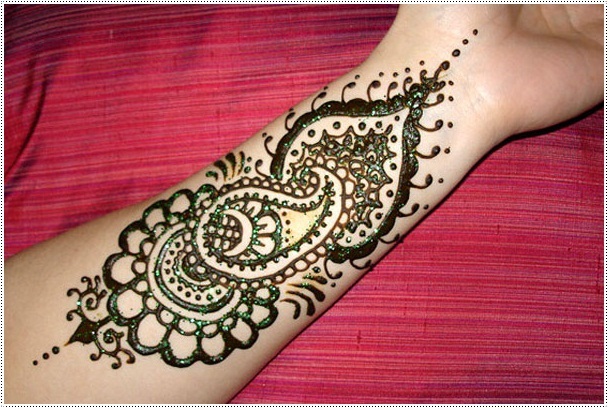 If you want to move away from the swirly patterns, then this type of mehendi design is for you. 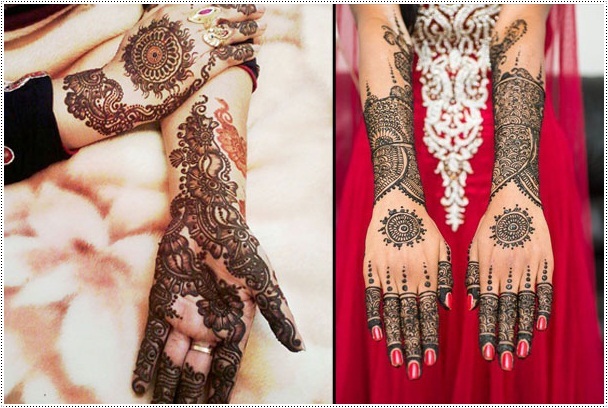 Rajasthani or Marwari mehendi is so finely done that it does not leave any clear space. 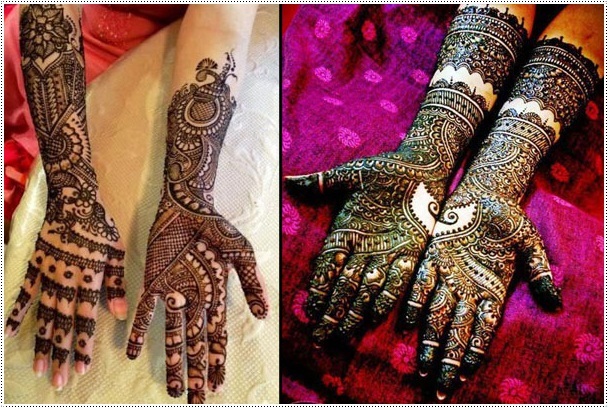 It is all about peacocks, flowers, curvy designs, motifs as well as intricate lines going from the tips of your hands to your elbows and from your toes to your knees. Very Nice post. 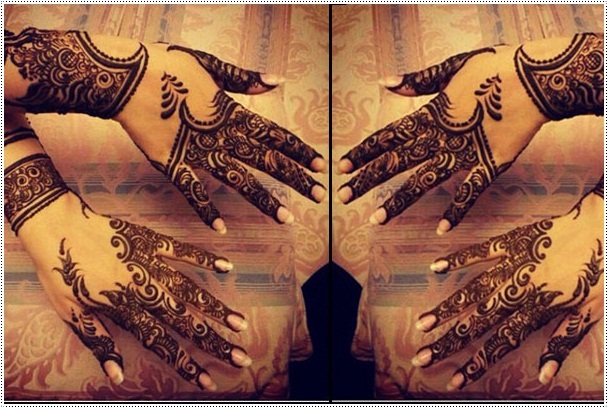 I love mehndi for wedding and also love to do this at home. 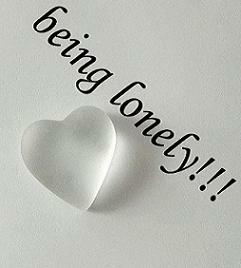 It's my favorite time pass. 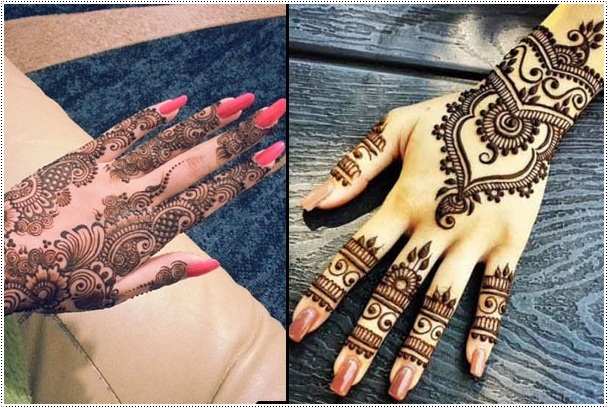 These mehendi designs are really awesome yaar!!! 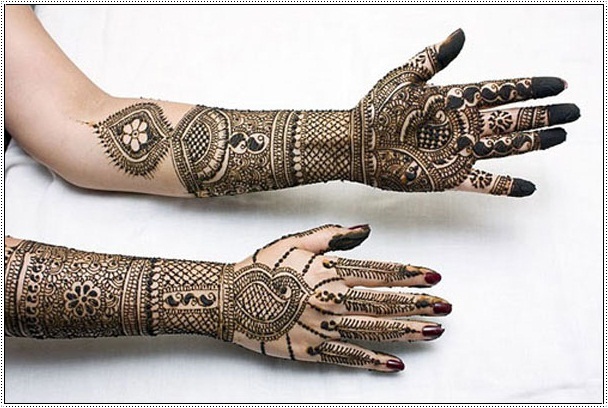 The Unlimited Bridal Collection Shop. Best Bridal Dresses we have. To place ur order send us massege on our page with dresses.